Turpin parents face new abuse charges; plead not guilty again. Prosecutors re-filed charges against a pair of Perris parents who are accused of torturing their 13 children through years of starvation and abuse on Friday, then both suspects re-entered not guilty pleas to all charges. However, the new filing did not dramatically change the stakes against the Turpins, who are still facing life in prison for multiple counts of torture and other felonies, said John Hall, a spokesman for the Riverside County District Attorney’s Office. Hall said prosecutors have added three counts of felony child abuse against both suspects and one new account of assault against Louise Turpin. The Turpin case is now scheduled for a preliminary hearing – which should reveal new details about the case – on May 14. However, defense attorneys said they were skeptical they would be prepared to proceed on that date, considering the large amount of evidence in the case. Other court records revealed some small progression in the Turpin prosecution. First, subpoenaed documents, which are not public, have been turned over to the court from at least two sources – Mt. San Jacinto College, where the Turpin’s oldest son attended some classes, and Kaiser Permanente, which appears to have kept medical records on the Turpin siblings. Second, Louise Turpin’s attorney, Jeff Moore, filed a sealed motion earlier this week, but the contents are unknown. During the hearing on Friday, The Press-Enterprise newspaper delivered a letter to the judge, arguing there was no justification for sealing the motion in a public prosecution. David and Louise Turpin, 56 and 49, were arrested in January after authorities found their 13 children, ages 2 to 29, held captive in inhumane conditions in an unassuming house in Perris. 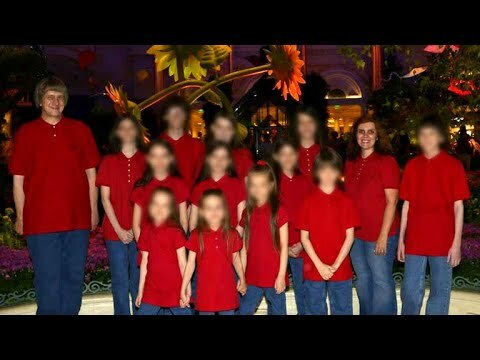 Prosecutors have said the siblings were starved and beaten, and that the Turpins would sometimes punish their children by chaining them up for weeks or months at a time. Authorities said the children were starved so severely that their growth had been stunted, and they were only allowed to shower once per year. The children had supposedly been home-schooled, but some had such little understanding of the outside world they didn’t know what medicine or a police officer was. The Riverside County District Attorney’s Office charged both Turpins with 12 counts of torture – a crime that carries a life sentence in California – and numerous additional counts of abuse and false imprisonment. David Turpin is also facing a single charge of lewd act against a child by force or fear. This abuse, which prosecutors charged as torture, likely continued for years, dating back to when the Turpins previously lived in Texas and Murrieta, authorities have said. The Turpins moved out of their Texas home in the middle of the night, and neighbors told The Desert Sun they later found ropes and padlocks in the empty house. The Turpins, according to relatives, moved to California to be “closer to Hollywood,” chasing dreams of a reality show about their large, picturesque family. “I believe that my sister wanted a reality show because the very last conversation that I had with her before all this happened — she did actually say that she feels that they would be perfect for TV at one point,” said Billy Lambert, Louis Turpin’s brother, in an interview with Inside Edition. Instead of becoming famous, the Turpins have become infamous. The shocking crimes alleged in their case have been covered in state, national and international media – where the Turpin home has come to be known as the “horror house.” At every Turpin court hearing, the courtroom is overflowing with reporters, and Friday’s hearing was no different. This “extraordinary” press coverage has led defense attorneys to raise the possibility of moving the trial outside of Riverside County. In a court motion filed in January, Deputy Public Defender David Macher said the coverage might affect the local jury pool. “The frequent appearance of photographs or video images of the Turpins in the media may taint potential jurors, prejudice them against the Turpins and make it necessary to explore a possible motion for a change of venue,” Macher wrote in a court motion.